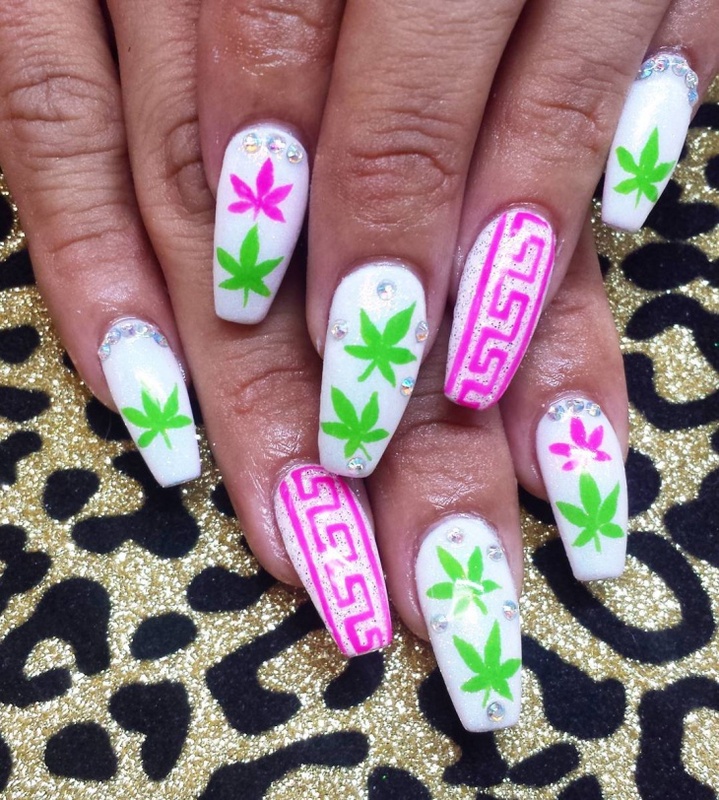 Loved by one, nail art design is a trend here to stay for long! 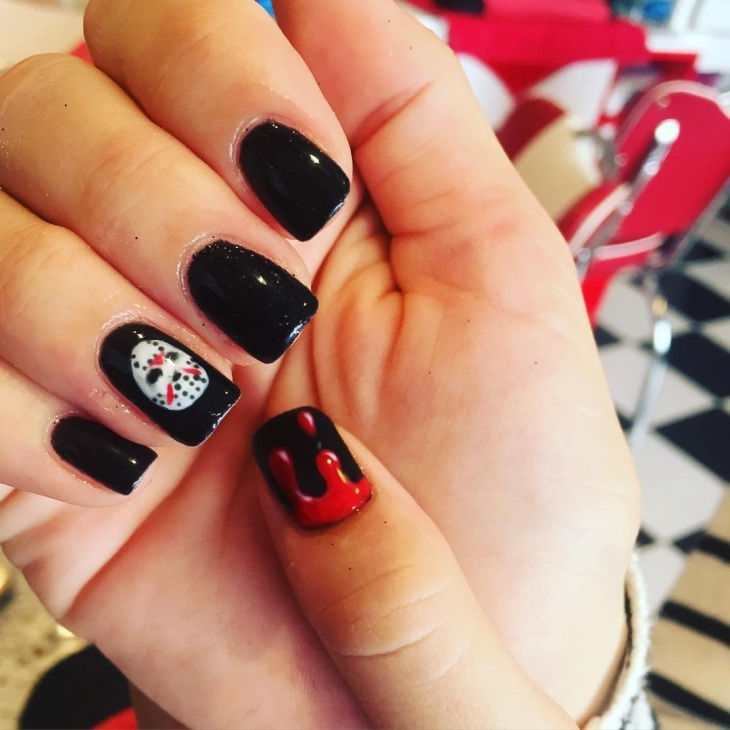 With tons of styles and options to let your nails represent your own individuality, new fashion trends in nail designs keep coming our way every now and then. 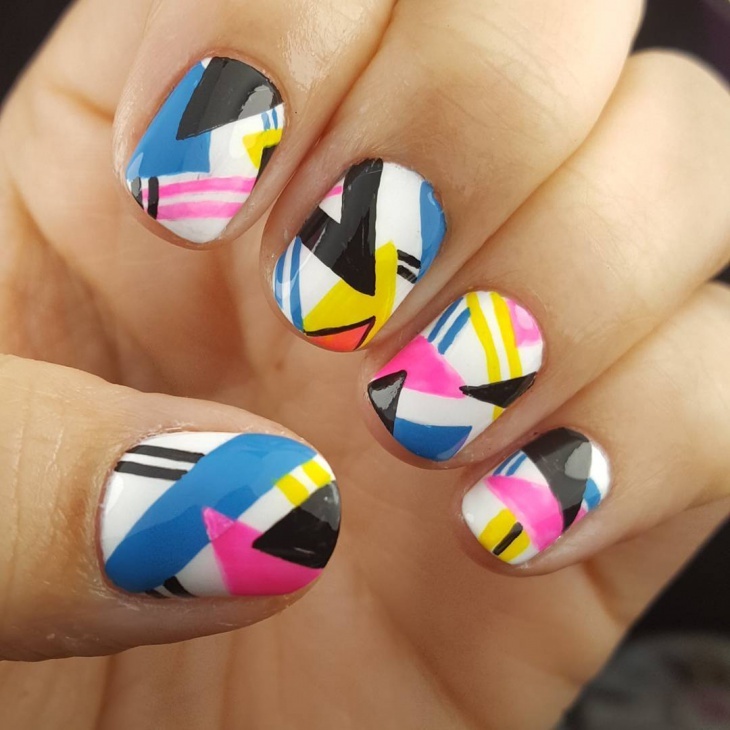 Ranging from flowery representations and geometric stripes to mythological symbols and even cartoon artworks, nail art designs these days are full of inspiring creativity! All you need to do is take your pick from the lot and start experimenting! 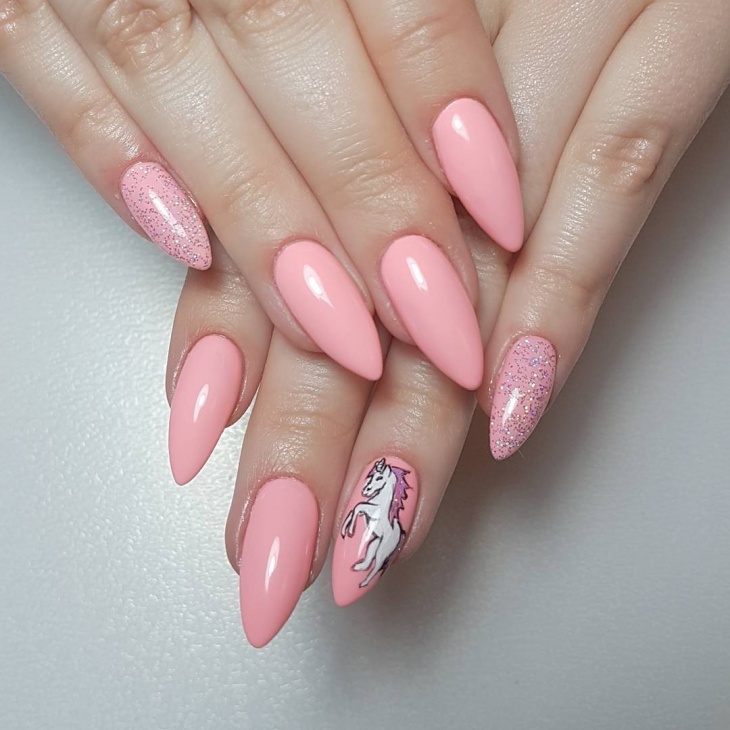 Baby pink, white pony and pretty glitter – now which girl would say no to this cute little design? 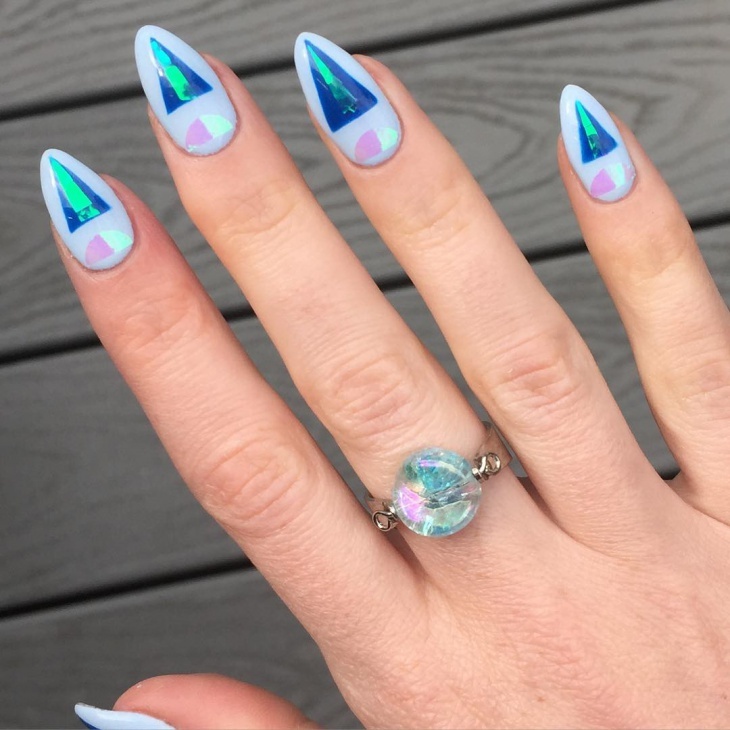 Pointed nails are still pretty much in fashion; this one is for the Barbie doll hidden deep inside you. 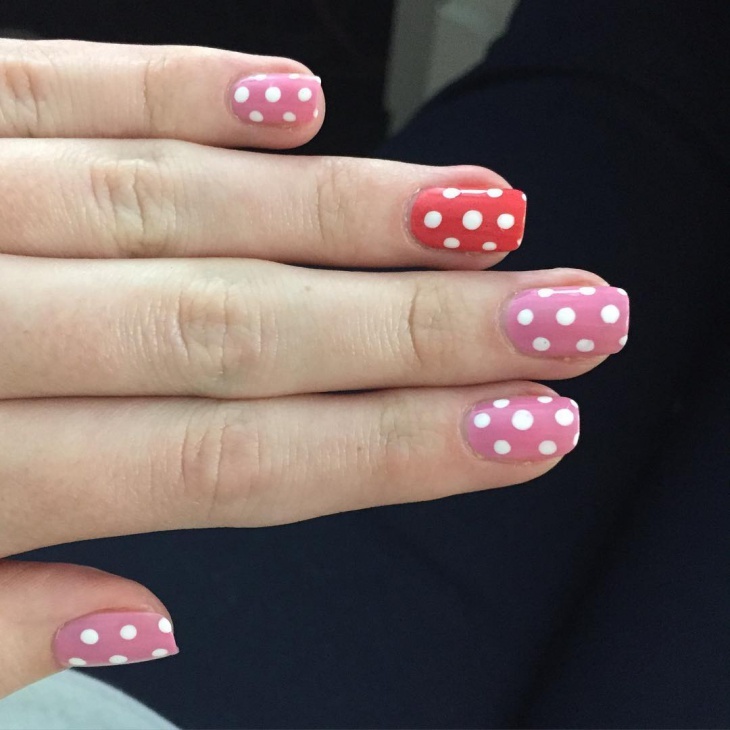 Say yes to her cute little urges, and go paint your nails with these fabulous shades! 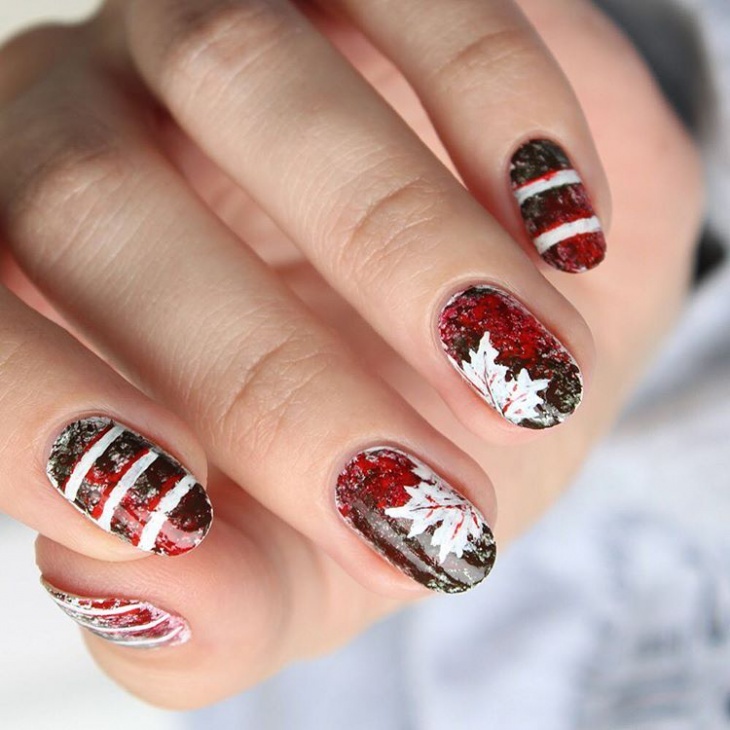 With the autumn season going to set in soon, a round of these pretty autumn leaves nail arts have come up. Preferably working with the autumn or dark colors, and drawing maple fall leaves on top of them for that lovely autumn effect is what you should be going for here. Don’t we all just love this shade of purple? Pair it up with some gorgeous orange wildflowers and white dots floating around for the ideal match to the country girl in you! Use a cream base for this one; top it up with a pair of transparent coat for that superb shine. 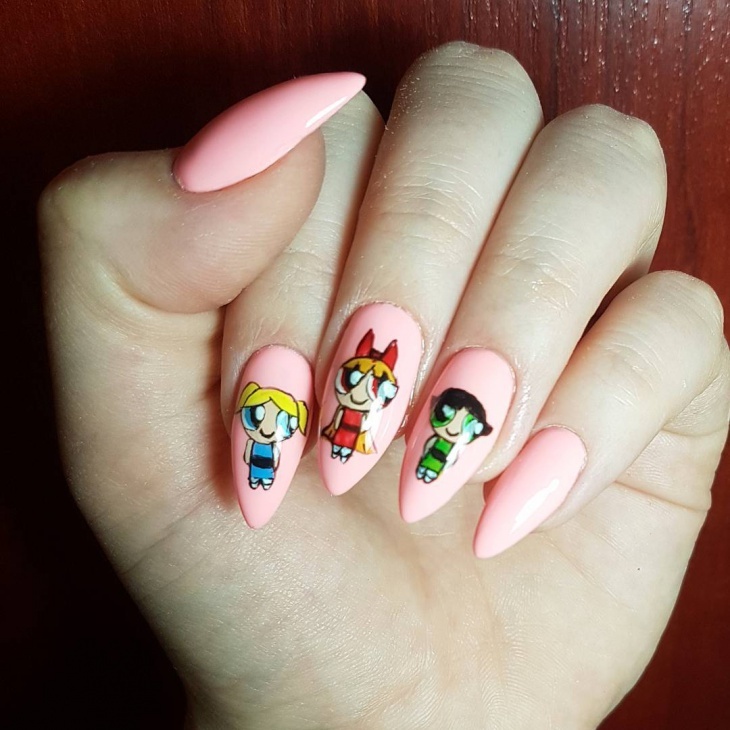 We told ya how popular cartoon nail arts are getting these days! Remember Powerpuff Girls from your childhood? 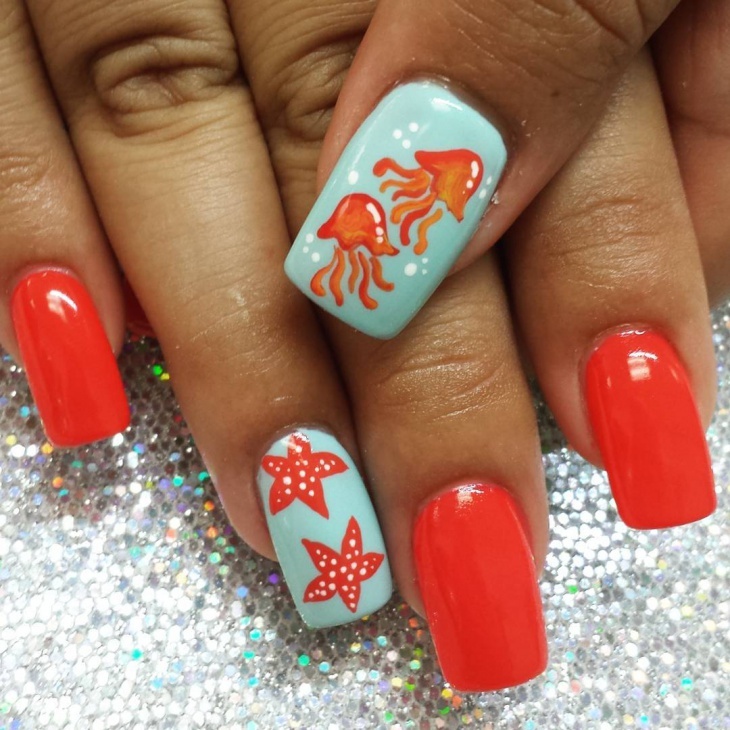 Well, it’s time to get them back into your life… and onto your nails! Painted on a baby pink base, these three little superheroes will totally cheer up your day! 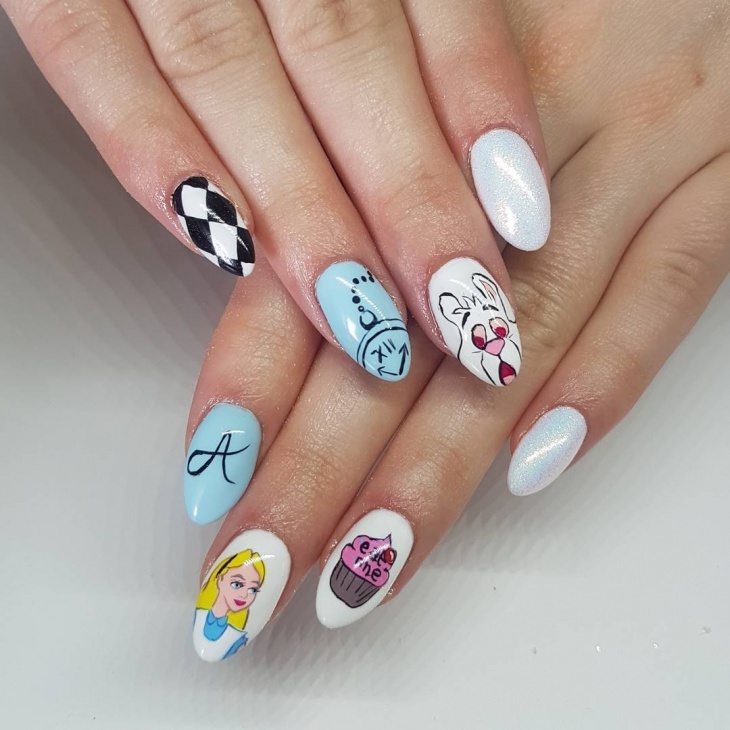 Another dedication to the comic nail art, this one covers multiple favourite elements from the Alice in Wonderland universe. You see Mad Hatter and pocket-watch on some, spades and cupcakes on others for that fantastic Alice look, which seems to be taken right out of the book itself! 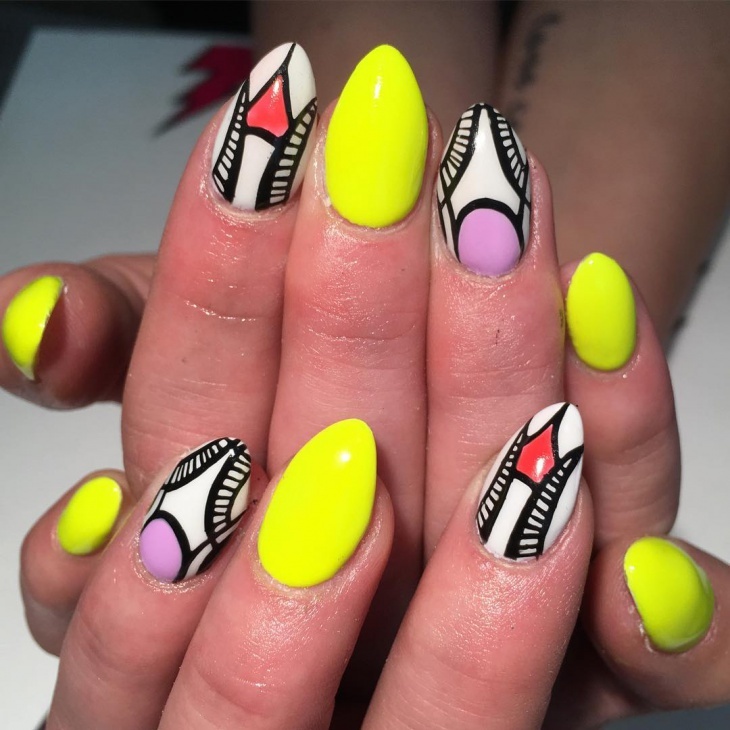 Colourful geometric shapes in contrasting shades or triads are another couple of nail art trends getting pretty popular these days. 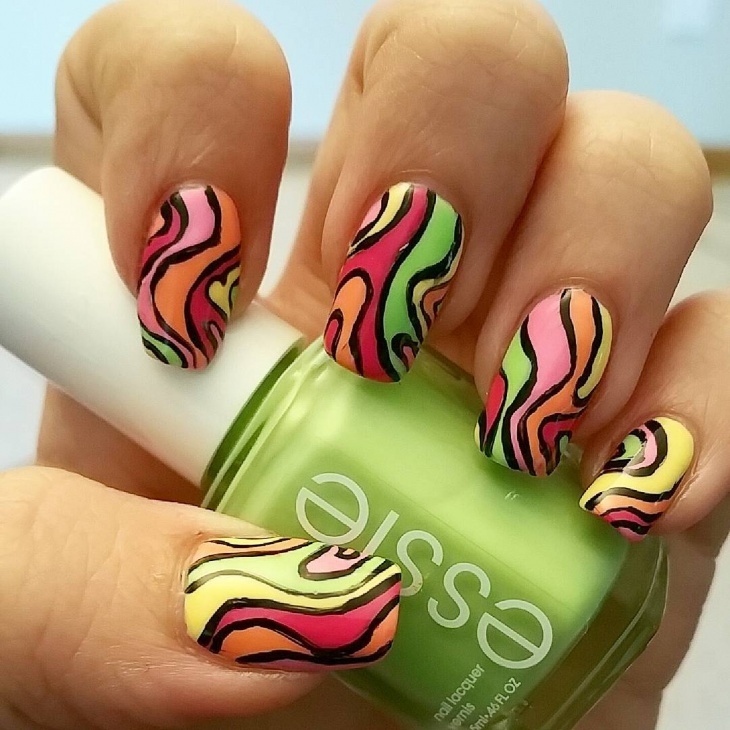 Let your imagination loose for this one, and paint your nails with bright cream colours, striping them up with even bolder colours! Sneak in some black for the perfect cherry-on-top ending. Oh, we loved this design the moment we set our eyes on it! Got pointed little nails? 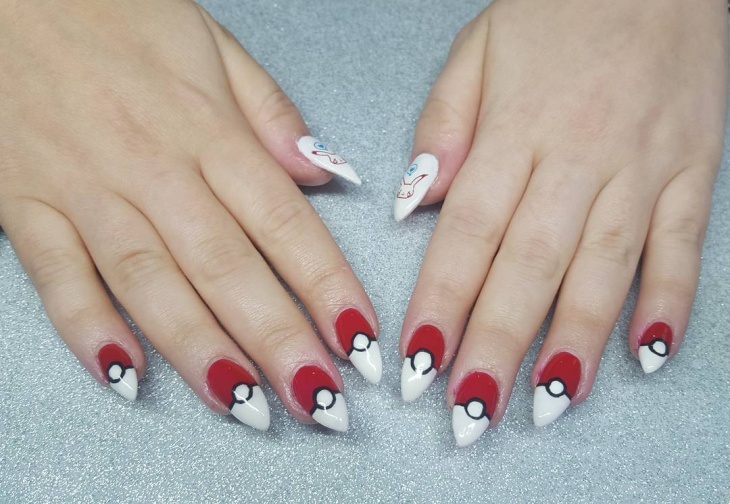 Why not paint the Pokeball right on top of them, and feel on top of the world with having ten Pokeballs right on your fingertips, literally? Top it up with some clear gel and go catch ‘em all! Artworks which incorporate butterflies or their symbolism are the sort which has been commended by fashion experts all over the world for decades. 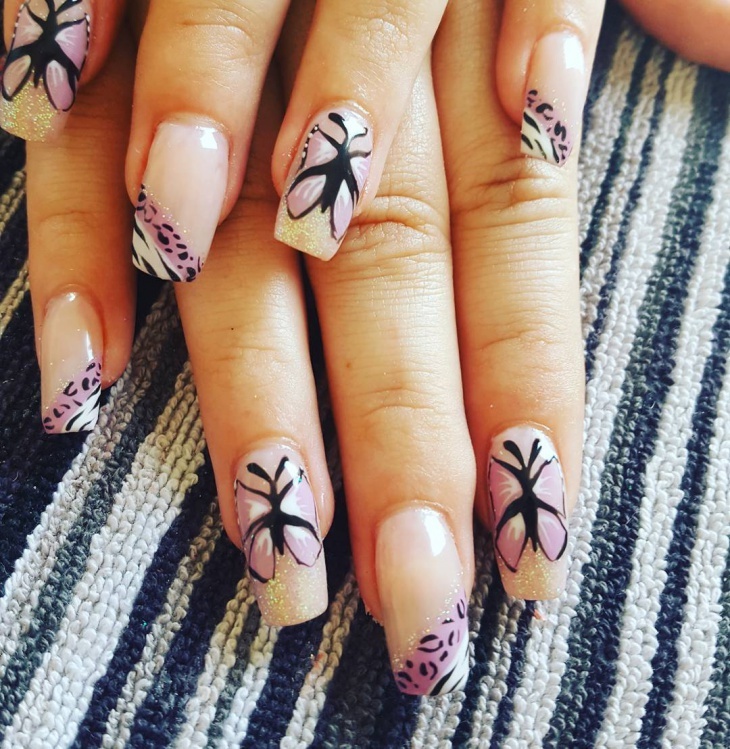 Done on long square nails, the trick here is to alternate between minimalistic and designer art to get that perfect complementing look. 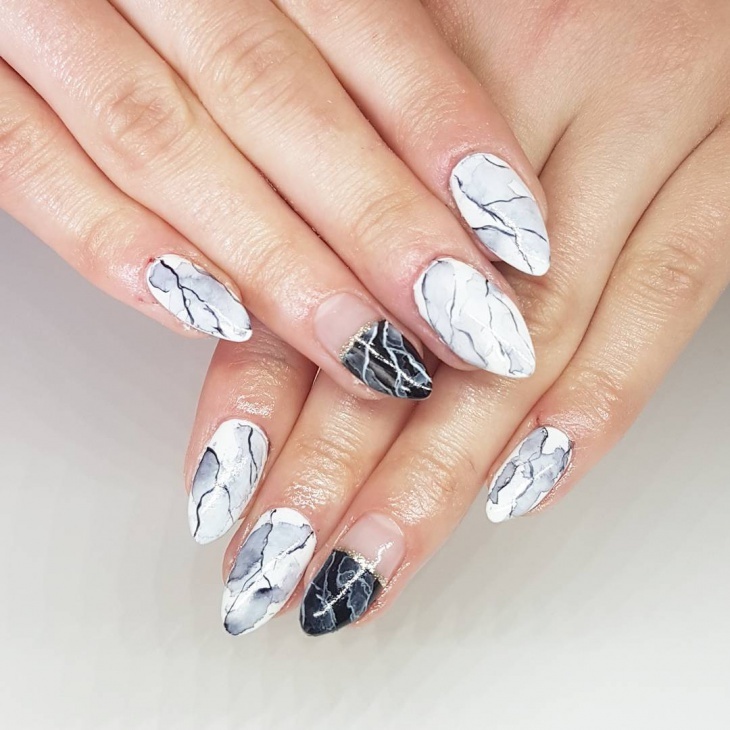 Another design trend doing the rounds this year is the marble hand-prints. Imbue natural marble designs into plain greyscale cream bases for that fine yet rocky finish! Make sure not to overdo the painting though, or it might actually look like you got cracks in your nails. 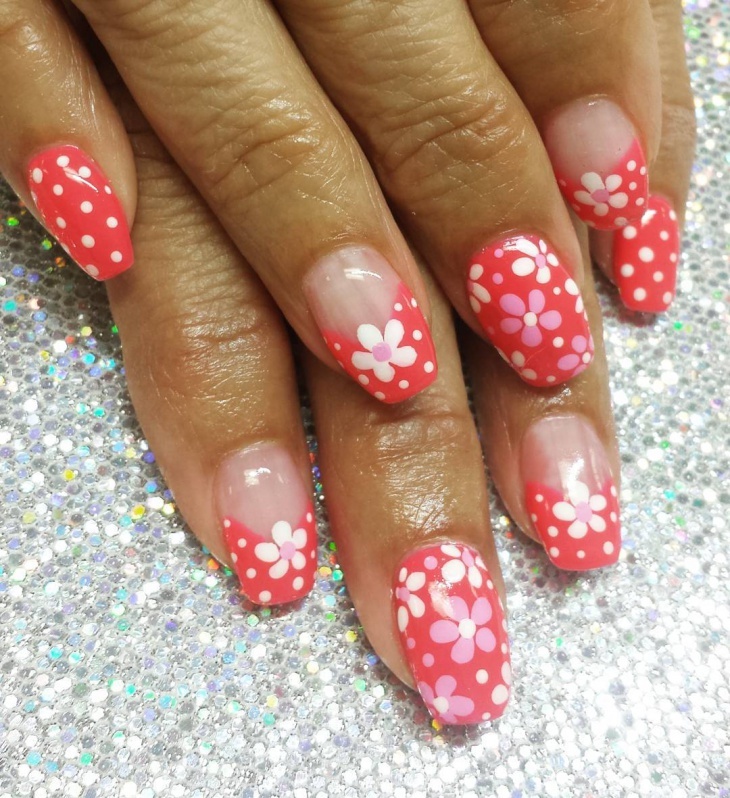 Another one from the flowery-base collection, pair this one up with baby pink nail base, and doodle some pretty little cherry blossoms on top of them. 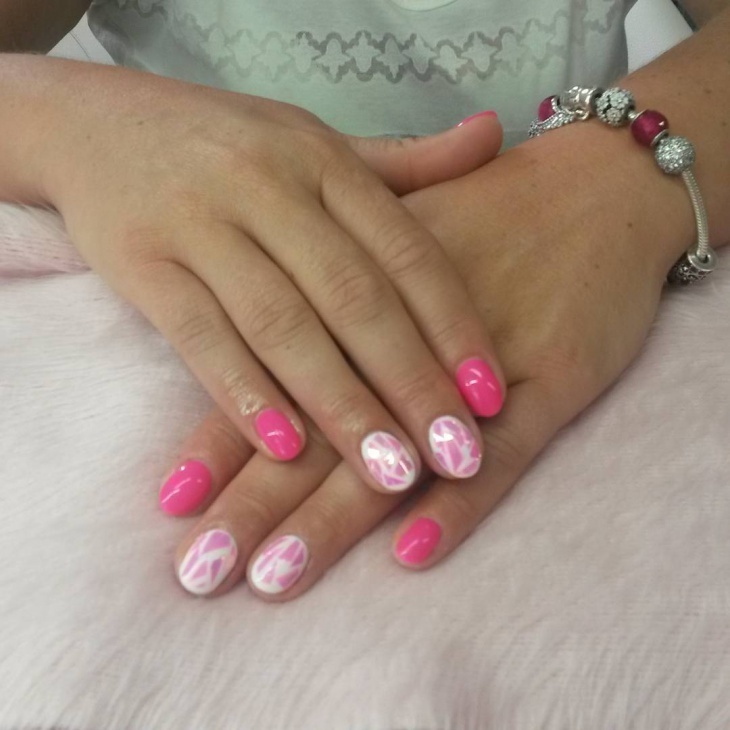 Add a drop of glitter here and there for that sweet shiny effect, or just top it up with a paint of glossy coat. 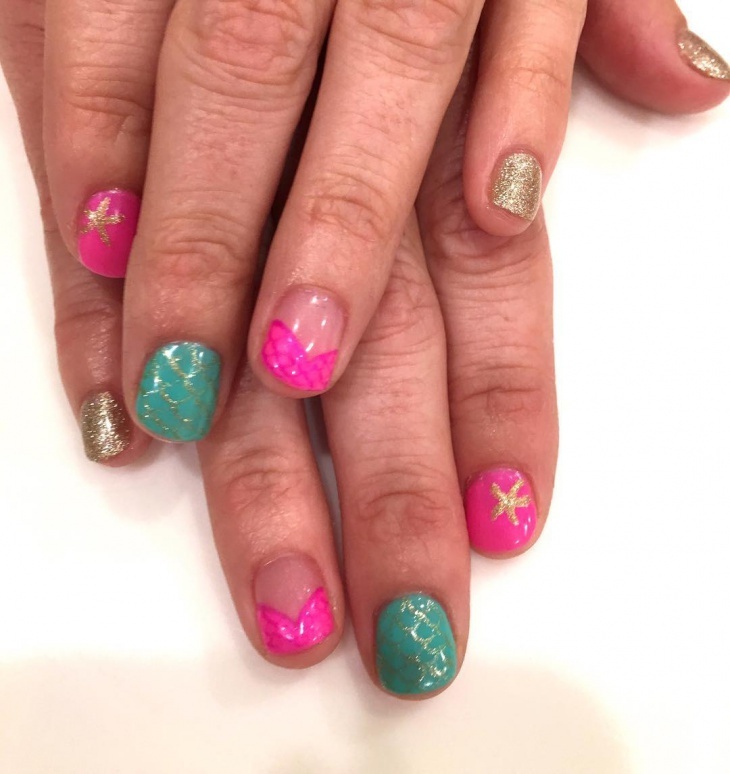 Nail art designs are the one thing every girl should totally try at least once in her life; it brings gorgeous prettiness right to your fingernail, which you can actually smile at and admire all day long. Take your own pick from the tons of options out there. The trick is to capture designs which reflect your own mood or essence. 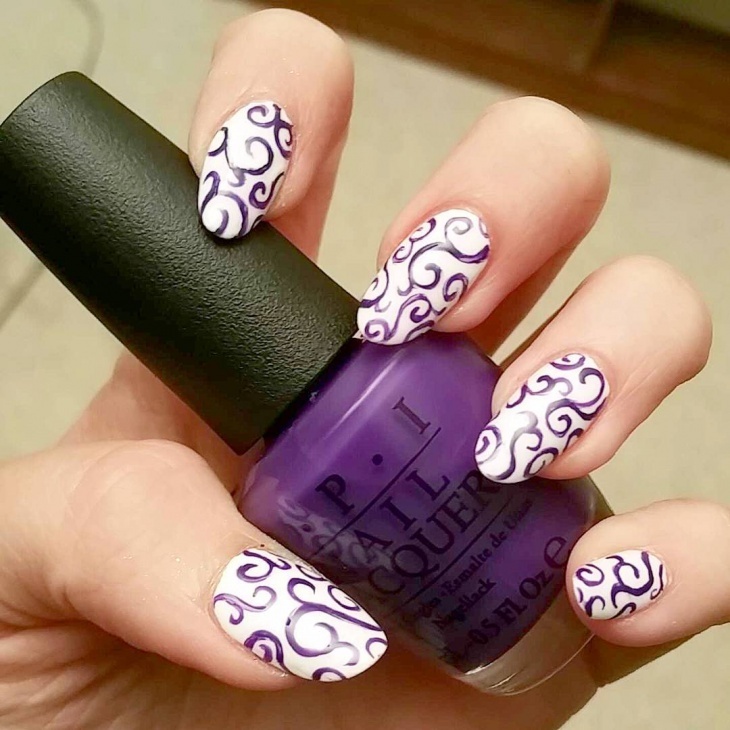 And considering it is nail paint design, you can always give them a fresh coat whenever you get bored of the old design. So what are you waiting for? 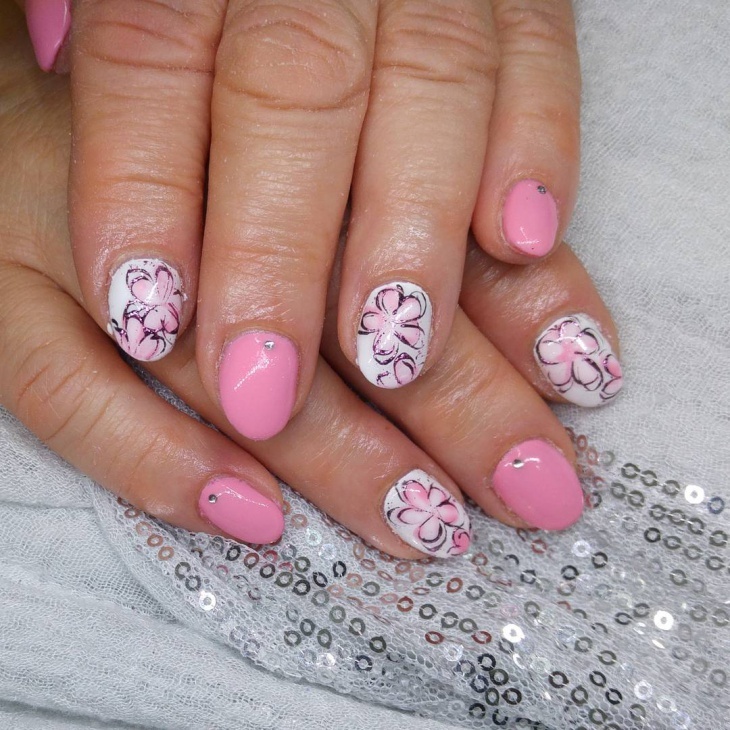 Give your nails a makeover you have been looking forward to, and don’t forget to share the same with us in the comments below!